Happy Buy A Gun Day, 2011… and then some. April 15 is Buy A Gun Day… but because of this year’s tax day extension, you have until April 18 to celebrate. Say hi in the comments. Barking Moonbat: Did You Forget B.A.G.D. Last Month? 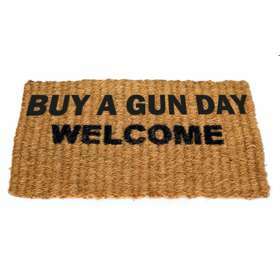 Maddened Fowl: It’s Buy A Gun Day !! It’s tempting to consider BAG Day every day from January 19, 2009 through January 2013. But those who remembered the original effort to wrest April 15 from the clutches of those who’d seize our arms and assets are noted here. Well done. Much better… someone who took my idea and registered the obvious domain name finally gave up. A domainer tried to get me to buy it for a few hundred $, but I just registered it at face value for $10/yr. Hope it helps with traffic and to help un-confuse people. Gun owners aren’t afraid of Friday the 13th. Welcome to No Libs, Beth and Claire. 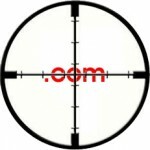 Have you linked to BuyAGunDay.net? If so, let me know and I’ll add you to the Team BAGDay blogroll.